“Treat the Acne, live your lives healthy and fully”is the aimes of ChingChung Volunteer Campaign started from 2006. The volunteer programme was targeted to those adolescent aged 12 to 19. The content of the programme include free acne treatment, heal talks and career guidance. 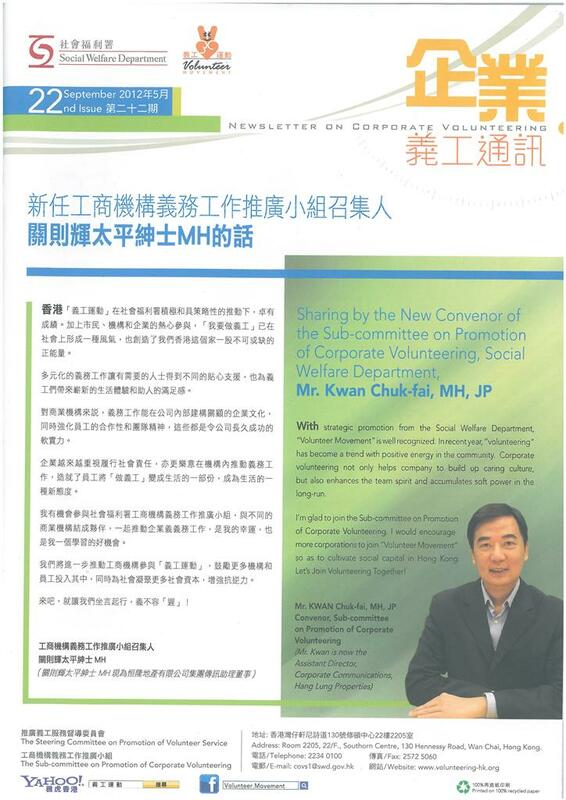 To meet difference needs of the adolescents, the company used to plan and organize the volunteer work with different NGOS.Miss Jackeline Yang said: “Volunteering provides positive power to the company. If the seniors could fully support and join the volunteering together with the staffs, corporate culture in volunteering could be built up. Apart from it, when getting recognition from the society and their family, the staffs could be more active in joining volunteering continuously and could be gradually integrated volunteering into their life. Yuen Yuen-lun, one of the beneficiary, shared that he always wears face mask to cover the acne and was reluctant to get out before receiving the free treatment, my acne problem could only be controlled by medication. However, as my family could no longer support me to continue the medication, I could only give up the treatment. Fortunately,thanks the volunteer beauty consultant, my acne was finally cured. To help the needy, I would join volunteering like them.